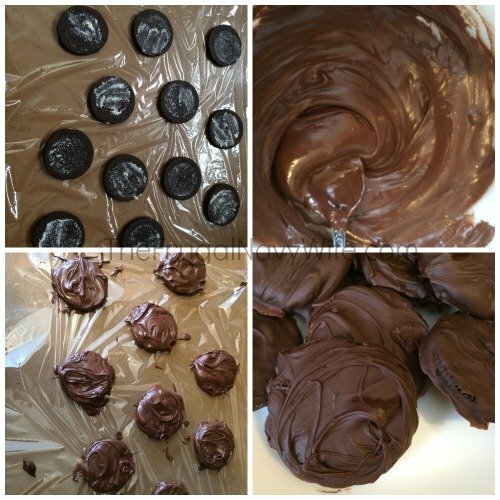 I have an addiction to Thin Mints. I wish i could buy them all year long but since I can't I have to find a way to feed my addiction. 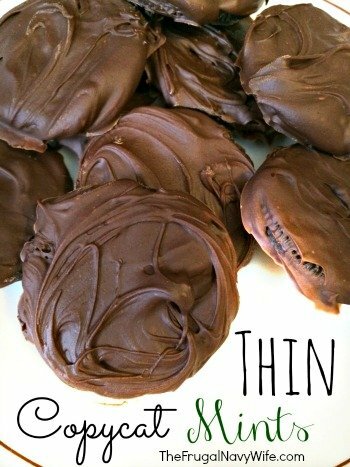 I have a few dessert recipes that include thin mints and oh MY! Heaven! Here is a Copy Cat recipes you will love! -Scrape all the cream out of the middle, you can set aside the cream or eat it! 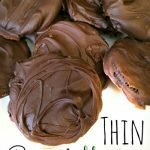 You won't need it for these cookies!